National Geographic adventurer & explorer Wasfia Nazreen has made Kumbhu (Everest region) her home for over a decade. Her passion & respect for the Sherpa culture and spirituality is bound to touch your heart. With 40+ treks to EBC under her belt, and 100% client satisfaction, this will be the trip of a lifetime! 20% of all proceeds go directly to host countries. Currently we are working with several non-profits to implement in the sectors of education, women's empowerment, and re-building of Nepal, post the devastating 2015 Earthquake. Everything is bought locally; everyone is hired from the trekking locations. All porters & staff are covered with insurance, paid the top salaries. We work as a family. Each trip or expedition is dedicated to a different cause, so please feel free to ask where your money is going when you fill in the interest form. Serious interests only. We reserve the right to refuse anyone we discern unfit for these long arduous journeys into high altitude. "You can go on a trip, or you can go on an experience of a lifetime. With Wasfia you choose the second; her knowledge of the mountains and Nepali culture will take you places that wouldn’t be discovered otherwise. Her care and humor will make sure you are comfortable and enjoying the adventure at all times." "These days, you can learn almost everything online. But what you can't learn online is experience. 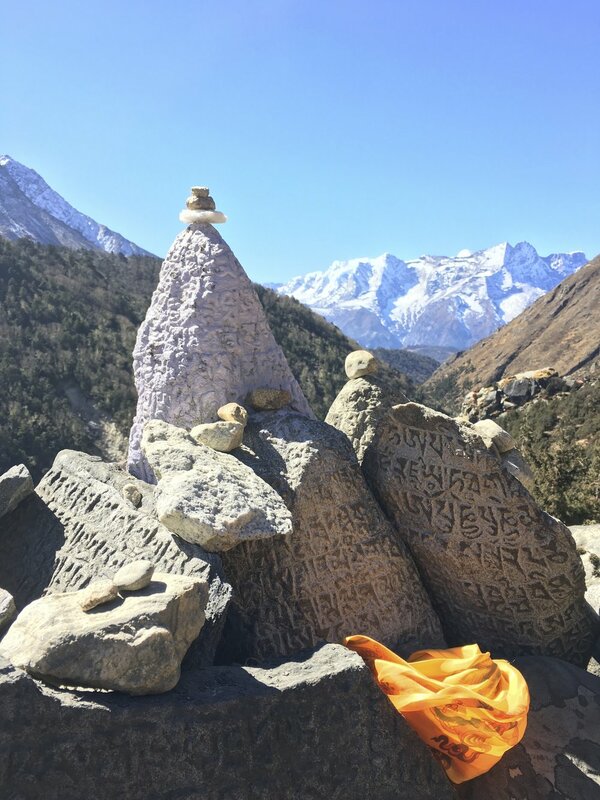 I was fortunate enough to trek to Everest basecamp with Wasfia in November 2017. As a long time yogi, I am very much in touch with my body, but as a first time trekker, there were moments I was unable to listen to my body and understand what was happening; altitude is no joke! Not only was Wasfia able to pace me, but she carefully observed how I was reacting and knew when to say, "Janine drink some water." or "Janine, take a bite of this." "Group, lets stop and everyone take a breather." For many of us, this is a once in a lifetime experience. If you are going to do it, my advice is to do it right. Go with an experienced climber, go with Wasfia. Plus - she knows EVERYONE along the trail! Everywhere you go, the amazing people of Nepal want to help because you are a friend of Wasfia. - Janine Baltar, Yoga Teacher, San Francisco. "My wife and I have known Wasfia for almost a decade because of her praiseworthy work with Tibet and the Tibetan people. We had always been fond of her courage and spirit, however, our respect and admiration skyrocketed for her and all she does when we joined her for a private trip to Everest basecamp from the Nepal side in 2011. We are retired and not your average paced trekkers but going to see the top of the world was a lifelong dream for us. If it wasn't for her diligent efforts, we would not get there because most of the regular trekking companies don't have so much mercy for clients like us. Wasfia showed the ultimate face of patience and kindness while dealing with both our slow minds and bodies. Throughout it all, she kept us engaged and alive with so much humor, that till today, so many years later, I only remember that trip in the most positive light despite the physical and mental struggles we both went through. Wasfia is a beacon of light for all of humanity and your life will start getting very different perspectives the more time you spend with her. Her trips help the communities she is involved in: she hires everything local + donates profits for education, empowerment or building infrastructures and you are karmically better off going that way than making the already rich western operators richer than they really need to be." - Patrick & Mary Croucher, U.K.